There are 4 posts tagged blended learning (this is page 1 of 1). I then referenced the seven problems that are written up by Kapp and O’Driscoll in Learning in 3D. Blended learning could be seen as a way to fix some of these problems. You do this through sound instructional design in which you blend working and learning (rather than face-to-face and online). I then highlighted the first principles of instruction that M. David Merrill wrote up and work that Betty Collis and Anoush Margaryan have done to expand this work into Merrill Plus. 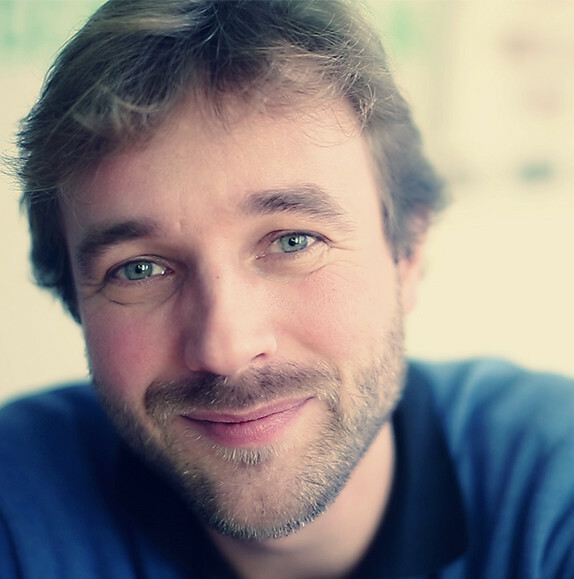 What Does an Innovation Manager for Learning Technologies Do? A couple of weeks back I was interviewed by Amir Elion who was a guest editor for an Israeli magazine on Human Resources. 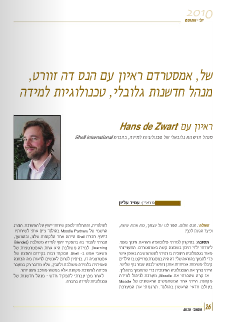 The interview has now been published (if you can read Hebrew it is available online for free). The publisher has kindly given me permission to publish the English version of the interview on my blog. It might give people a better idea of what I do every day. Please tell us about yourself, what you do, and how you got there? Basically I studied to be a philosopher and a physical education teacher. I taught high school children in a difficult neighborhood in Amsterdam. I got very interested in educational technology that I could use personally to support my teaching. This was for project based work, where children had to do real assignments for an external party. I needed educational technology to support the process. That’s when I got to know Moodle, an online course management system. 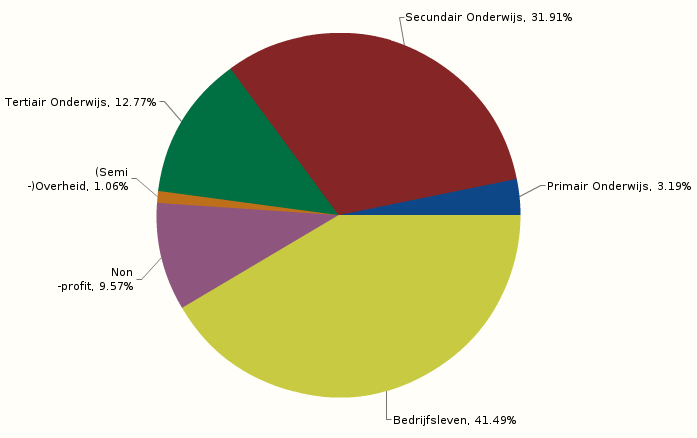 I was one of the first people to use Moodle in the world, and the first one to use it in the Netherlands, for sure. I translated it into Dutch, and started consulting around Moodle. I got picked up by the Dutch Moodle Partner to work as a consultant. Shell was one of our clients, and I made a switch to Shell, to become a blended learning advisor. Blended learning is one of the core strategies of Shell HR. I did a lot of “evangelising” about the strategy, trying to give people a nuanced view of what blended learning really means, and that it’s not just a move from the classroom to an online system but slightly more complex than that. Following this, I moved to a new job as Innovation Manager in Shell’s Learning Technologies team. I am actually not a part of the HR function, but of the global IT function. In the IT function that is responsible for HR applications, I work for what we call a Business Systems Manager (BSM). We have one for Learning, one for Talent, and one for Payments and Remuneration. And each of these BSMs has an Application Portfolio Manager, somebody who is aware of all the applications in their landscape and tries to manage these sensibly – usually by reducing the amount of applications, to rationalize. And learning is the only BSM that has an innovation role. Actually it makes sense, because in learning the tools that you use actually affect the process. My example is always Payments – the fact that we use a particular tool to process our payroll, doesn’t affect when and how much salary I receive, and how I get it. So what the systems do is protect the integrity, and the correctness, make sure things are automated and that costs a relatively low. But with learning – the applications that you have in your portfolio change the outcome of the learning. So they actually change the learning process, the learning events. The more the tools are on the delivery side of things, the more this is the case (less so for administrative things). That is why I have to keep abreast of new learning technologies, because they are so entwined with what you can do with the learning function itself and how you deliver your learning. What is it I really do? – I manage an innovation funnel. We have an innovation process which takes ideas and develops them. This crosses each part of the business and includes innovation around drilling, refining and retailing, for example. It’s kind of a classic funnel idea, where on the one end of the funnel you have a lot of ideas that you investigate minimally, that other people can give to you. Then there are certain stage gates, with documentation and more research that you need to do for each opportunity to progress through the stages. It’s quite a structured way of doing things. A lot of stages in the funnel have to do with doing small Proofs of Concepts, pilots, in kind of “micro-ecologies” of the real situations. So you would always try something out before you do a global rollout. By doing it this way, when you are ready to implement in a larger fashion, you should have already answered the most difficult questions around implementation. So you take this global innovation structure, with its stage gates, and apply it to learning technologies? Correct. And my direct partner in doing this is the Learning Strategy and Innovation Manager. In the HR Learning function there is somebody who tries to do innovation from a learning perspective, more than from a technology perspective – and we share our funnel together. Of course, most learning innovations have a technology component, but there are innovations in there that are purely process innovations around learning that are also managed with the same process. So looking at the structured Innovation processes at Shell, how do you encourage employees to support these efforts – to submit ideas, to participate in the pilots or gate reviews, to be positive towards change? First of all, I have noticed personally that “Innovation” seems to be the current Buzzword in the business world. It’s all about innovation now – how to do it, how not to do it or whatever. I have read a book a little while back, I think it was Innovation to The Core, that argued that with innovation we should reach a similar point which we reached with Quality management about 20-25 years ago. It started with the car manufacturers in Japan, that made quality management an integrated part of the company – and not something that you have a Quality Manager to do – but you make everybody’s responsibility. I agree with the sentiment that companies should be innovative, and should keep innovating, and like we as people should keep learning – companies should do the same. In that sense Learning and Innovating could become synonyms. It should be a lens that you put on everything. The fact that I have “Innovation Manager” in my title is actually not a good sign of how mature we are with innovating. If we were more mature it wouldn’t be the case. It is a good sign because it is better than what we had – we are moving in the right direction. If you look in what is happening our company – first of all our CEO is driving a couple of behaviors very strongly, expecting everybody to take those behaviors on board – all his senior managers, etc. And one of those is innovation. Whenever we have a speech by the CEO, there are three things that he will always talk about – the first has always been for Shell – Safety (especially of course now – after the BP oil spill – but it didn’t really change because it was already a big part of the culture), and he nearly always talks about having an external focus and about innovation. So that would be a top-down approach to innovation? Yes – that is a top down approach to the innovation effort. At the same time, there are been some processes that have existed for a long time in Shell. One of them is called “Game Changer”. Anybody who has an idea which they think can change our business, can hand it in, in Game Changer. There is a committee who looks into these things and writes back to people. The committee has the authority to hand out an initial set of money to good ideas. These ideas can be developed further with that money, and perhaps make the next step. So that can be a grass-roots approach to innovation. And what does the person who suggested the idea get from it? Usually that person is very involved in the implementation. Often that person would be made free from their regular work and be able to work as a project lead or in developing these ideas. I don’t think there is any real monetary reward – it’s more that you can go in a direction that you’d like to go. That’s interesting. And does it really happen? The other drivers are people like me – there are a lot more people like me dispersed throughout the business in different locations. I try to do two things – I try to first look outside – so I see what technologies are out there, in the learning technology world. I try to translate those into what would work for Shell. I noticed that there are lots of Web technologies out there that aren’t even developed with learning in mind, but if you “translate” them in a smart way, they can be very beneficial for learning. For example – the way that new companies do their customer support, or what universities are doing around their teaching – and try to adapt that into the business world. That’s the external focus of what I try to do. When I find something that I think has potential then my job is to find some stakeholder inside Shell who’s willing to experiment with it. I can’t experiment by myself because I don’t have the customers and I don’t have the resources. I need to find a partner somewhere in the business who’s willing to work with me. A recent example is something relatively simple – the idea of capturing lectures. We still have a lot of face-to-face education, and we will continue you to have it. But none of it is captured (by video). So we’ve brought in this system which is widely used by universities to capture both the speaker with a camera, and their presentation – this allows you to playback both synchronized and skip to different slides. A thing like that – you find a customer inside Shell – in one learning center, who has a need for this kind of stuff. The other way around happens as well, where there are people inside the company that have technology related problems that they cannot solve with our current offerings of learning g landscape, and you try to find a solution that could help them. It goes both ways. You are in a kind of a broker role, and at the same time really look ahead. There is a bit of tension because I am supposed to look 3-5 years ahead of time, but my appraisal is annual. So you have to find the mix of short term and long term things? Yes. You have to be creative in how you deliver. You have to be creative in where you find budgets, in that sense quite challenging. So this would be the other channel – innovation brokers throughout the organization each in their field (as you are in Learning Technologies), that drive innovation – connected of course with business needs, and with an outlook they see a few years ahead? Do you have links with other innovation people in other fields in Shell? I work with the general Information Technology innovation people as well. We have a new business. We used to have a downstream business and an upstream business, and a Gas business. What we’ve done is put the Gas into Upstream and we’ve created a new business that’s called “Projects and Technology” – that does our big projects. This allows our upstream and downstream businesses to leverage each others strong points. The head of Innovation of Shell is at this new business, and they have an innovation team. They have a larger budget so I am in touch with them to make sure we are aligned, and occasionally there are things that have a learning aspect but are bigger than just learning. One example would be the Serious Gaming where if we create 3D models of our plants, we can create learning scenarios in them using a gaming engine. But you can also imagine that a lot of other processes in the business could benefit from having this kind of information. For example – we’ve done some research into decommissioning plants using 3D models to see how to do it quickly and efficiently. That’s when we find them and ask them to co-sponsor some ideas or maybe even drive it a bit more than we drive it ourselves. This is a general HR magazine. Your examples are related to Learning due to your role, but perhaps you can share some other HR stories of innovation – i.e. in recruiting, performance management, etc. The one thing in which Shell is different perhaps from other global companies is in how global the rollout of our performance management is. I don’t know to what level that’s the case at Motorola, but in Shell literally everybody has the same goals and performance appraisal. The goals for your year are in a central system. From the top down you can see a complete overview. And it really flows down from the top. The first person every year to write their goals for the year is the CEO. Then the next level of management writes theirs. Then their people write something that reflects those. It gets more and more specified rolling down from the top. I think that’s quite an interesting way of doing it. I haven’t seen it globalized to that extent anywhere else (but maybe I haven’t looked a lot). Another thing I like is that everybody has an individual development plan. This is really part of the manager’s responsibility that people fulfill their individual development plan. It goes even so far that you can use it like a leverage point with your manager to do the things that you want to do as an employee. I think we also have some innovative things in the way that we set up our HR practices and services, but I am not sure how that is done. Of course we have global competence profiles, and jobs match these competence profiles. In fact all learning should be geared towards filling competence gaps. Our learning framework is really based on a competence framework. In my understanding, what you describe could be called an application of best practices in performance management, in learning management, in employee development, which is of course very difficult to achieve. It’s good to let others know that it does work if you really do it. Can you think of stories of going “beyond the best practices”? I mean – you have the organizational structures and the way you do things – but do you “shake” them a bit and make things work not only according to paradigms – when it is called for and it’s worthwhile? If I am very honest – I think that’s a difficult point for a company like Shell. Because exactly as you are saying – we completely focus on best practice. So that means that in everything we do we look at external benchmarks, and we try to be top quartile – the best 25% in those categories. What that means is that it’s relatively hard to do something “out of the box” at a global level. Because whenever you want to do anything, the first questions will be – “What other companies have already done it?”, “Can we prove that’s it effective?”. In the learning technologies and knowledge management fields there have been certain practices that were innovative when they started but are now best practices. Shell is one of the first companies to have a truly global Wiki implementation. We have an internal Wikipedia, using the same software as Wikipedia – it has about 70,000 users and 30,000 articles – it’s a real big and incredibly useful Wiki that has a lot of business value into it. The one thing that I think that Shell is innovative about is in its complete focus of alignment of learning and work. We focus more and more on On the Job Training, on learning events that are completely relevant to somebody’ s work. The way that learning events are designed – they always have work-related assignments to them, and most of the require supervisor involvement. You need to agree with your supervisor on what you need to do. Learning is often integrated with knowledge management – through the Wiki for example. Yes. And it’s part of the standard knowledge management process. Not a course that stands in itself. A part of it is alive with the business. That’s sound very good. Could you compare how things were 3 years ago, to something that’s happening today and how you see it in 3 years’ time? (Possibly in learning or learning technologies because that’s where your focus is). If you look at learning 3 years ago, and is still the case a bit (but less so)…there are different ways of delivering learning. It could be face to face, fully virtual learning, a-synchronous, synchronous. We have email based courses where you automatically get a weekly email with an assignment and some reading to do, etc. There’s really a broad spectrum in the delivery of learning, but everything is still delivered from a course paradigm and from the idea of competence profiles. What you are starting to see is the course paradigm is starting to crumble a bit. So it’s called informal learning or on the job learning. I think you will see (and we are starting to see it here in the way we are architecting our next steps in our learning landscape), is smaller, modular content pieces; A different perspective of what we consider to be a learning event, what things can be seen as a learning event. More of a “Pull” idea – learning when you need it, than a “Push” approach. Specific learning event interventions around very current direct business problems – instead of through competencies. Because competency based learning for me has two abstractions. First you have to make sure that your competence framework is a very good reflection of your business, the skills it requires, and their translation into competencies. You hope you’ve done that correctly. Then there’s another abstraction when you create learning that has to match these skills and competencies, and you hope that the learning that you create can produce these competencies. If one of those steps goes wrong so the learning is pointless. What you are seeing more and more is a very direct, shorter event interventions. They will also have a shorter lifespan. This has to translate into your development methodology. So I am really starting to see an increase in how fast the learning function is expected to deliver for less cost – so it has to be cheaper and faster! Those requirements are starting to drive change in the way things are done. If we are moving away from the competency based model, can you predict or imagine what model we are heading towards? Yes. I think we will go to a simplified competence model. Because a competence model with the amount of functions like Shell has is an incredibly complicated structure that offers room to be simplified. What we are really working on in the next years is a high quality learning typology. The different business-related things where learning interventions could be a good solution. And they are very different, because on the one end there is a big need for “Certified Knowledge” (for instance – airplane pilots that are assessed yearly, and have to prove that they have the right skills and knowledge). That kind of certification levels will be seen more and more in our business. I am sure there will be legislation after the BP oil disaster that will push us even more towards having certified geo-engineers. That’s an aspect learning will have to cover, and it requires a very different solution than helping people implement change in the business as quickly as possible. I think a lot of learning will be related to projects – and that’s a different part of the learning typology. If the learning function can help get a factory online in 4 years instead of in 5 years – that’s a massive cost savings and business results improvement for a company like us. I think there will be a lot of focus on that. Thank you very much for this interview. It was really interesting to hear these things. This morning I presented in the “The Moodle Experience: Moodle in Practice and New Developments” pre-conference session at the Online Educa in Berlin. My talk was titled “Will it Blend” and the slides are available on Slideshare, as a PDF ( 4.9MB) and below (no audio unfortunately). If you have any questions about these slides, don’t hesitate to ask them in the comments. On Friday (14:30-16:00 in room Lincke) I will talk about the use of open source software in corporations. My talk is titled “Open Source: Getting Failure for Free (and Why That Is a Good Thing)” and is part of the “The Added Value of Open Source Solutions in Times of Crisis” session. I do hope to meet readers of this blog there!